I'm not a fan of the description on the back of this book. "Beth discovers that [Wynn] also has determined never to marry." Okay, we don't get to that part until page 164 (out of 221). It doesn't make sense for this information to be made known before reading it. To make things worse, for a portion of the book, we are supposed to believe that Wynn is already married (though it's obvious he isn't, even without the poor description, which brings me to my next point). It was frustrating how naïve Elizabeth could be. First she couldn't figure out that Higgins was planning on marrying her, despite his aggressive flirting. Then she took ridiculous precautions to protect herself from "wolves" -- they're animals; not zombies! Next she couldn't stand the mice in her house, but couldn't stomach any methods of getting rid of them. Then she couldn't figure out why a man named Wynn Delaney would have an interest in a child named Phillip Delaney. And when she finally realized that there was a family connection, she couldn't imagine any other connection between the two beside father and child. Like, she thought Wynn was married with children and flagrantly flirting with her in front of everyone in town including his wife, despite otherwise being a respectable man. How is it that she's so sensitive to flirting except when it came from Higgins, anyway? Also, normally, I hate it when people complain about a book (or movie) being "preachy" because I feel like they're being overly sensitive and acting like they were tricked into reading a "Christian" book despite the fact that the description of the book was very open about the spiritual content. However, in the case of When Calls the Heart, "preachy" is an accurate description. Whether that's a bad thing or not, I don't know. I felt like it was a bit unnatural, like it switched to the author speaking directly to the reader instead of conversations within the story. I did still enjoy it. Though I couldn't tell you why. I do love Wynn Delaney's name. There's one good thing. Haha. Doesn't it just roll off the tongue? Anyway, I'll continue the series, but there are other Janette Oke books I'd recommend rather than this one. Well, I was at least halfway done writing this and then my computer decided to restart for updates, so I have to start all over. FUN! I think that Bella and Edward should have been the only characters who were swapped. I think the story would have been way less confusing and distracting that way, and would have seemed more natural. I just had a really hard time with the gender-swapped Cullens. I could buy Carine as the doctor, but big strong Eleanor was hard to picture. And I kept imagining Archie in a white tank top and sagging jeans (because of the petit frame and buzzed hair, I guess), which did not at all endear him to me. Many of the names seemed weird to me too. I remember reading something about Meyer looking at old census information to find names for her characters that would work for the time periods they were born into and it really didn't seem like she was that thoughtful about their gender-swapped names. Beau and Edythe, I was fine with, but Royal is a very modern name, so I wasn't buying that he was a super-old vampire. It was interesting to me what Meyer felt the need to change about the protagonist along with the gender. As a male adaptation of Bella, Beau retains her housekeeping skills and her disinterest in cars, but dumps Jane Austen for Jules Verne. I don't see the need for the author swap. I had a male friend in high school who enjoyed Pride and Prejudice (and Twilight) and it's not like he was a feminine guy or anything. Beau Swan is definitely the kind of guy who could appreciate Jane Austen. As for a few other changes... I'm glad that Meyer changed the "Do I dazzle you?" conversation. That always made me cringe. And I thought it was interesting that she continued to call the Quileutes "werewolves" even though she reveals in Breaking Dawn that they are really just shapeshifters. But I kind of hated that she changed the sparkling thing because I felt like she was giving in to the people who've ridiculed her books. I'm not a huge fan of the sparkling, myself, but I feel like it makes sense. Definitely more so than the vague rainbow effect she changed it to. The ending seemed rushed to me, but I'm not sure if that's because it was actually rushed or if it's just because I'm used to waiting for three more books for the protagonist to become a vampire. I am glad that ending was explored, especially since Renesmee wasn't an option in this version. But I'm glad it's not the actual ending, because my heart broke for Charlie and Renee. So, I know that Edythe/Edward and Beau/Bella were Love at First Sight and everything, but Edythe giving up on trying to stay away from Beau after, like, a day doesn't make sense to me. First, one day should be nothing to someone who's been alive for more than 36,500 of them. Second, Meyer told us in the original series that vampires take a while to change and grow attached to someone. Third, Edythe is so über cautious and protective of Beau that she should have held out longer before giving up. It just doesn't make sense to me. As smart as the vampires are and despite the fact that they live with a doctor, they still believe that one gets sick from being cold... You don't get sick from being cold. Just FYI. It was mentioned a couple of times that Edythe became paler than usual when she was scared, but that should be impossible because she doesn't have any blood... Meyer even says in the original series that vampires can't blush. Shouldn't the opposite be true as well? Edythe asks where Archie and Jess are when they are in the near vicinity and she can read minds. 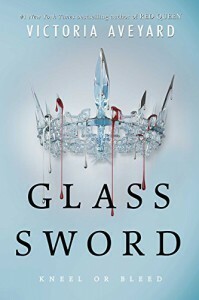 I also had the thought while reading this book that Edythe is always being super careful not to accidentally pulverize Beau's femur or whatever, but the vampires do things regularly like play piano and close car doors that require them to control their super strength unless they want to go on daily shopping trips for pianos and cars. So it seems like they shouldn't have that much trouble being gentle with humans. And one last thing. I definitely wouldn't buy this book as a dual copy with Twilight. I already have a copy of Twilight and I don't want to carry around two huge books when I'm only reading one. Is this really the only option? Will there ever be a single copy? The world may never know! I've decided to re-read/read the American Girl series. At the age of 25, I'm sure it's been more than a decade since I've read any of them. 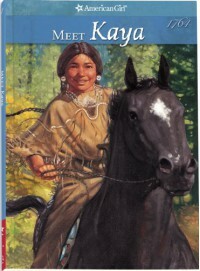 I loved these books so much as a kid and Kaya is one of the dolls that I own. 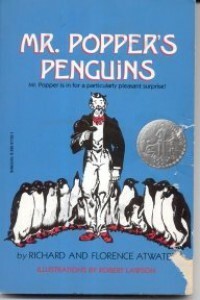 I didn't like this book as much as I did all those years ago, mostly because of how abrupt the ending was. 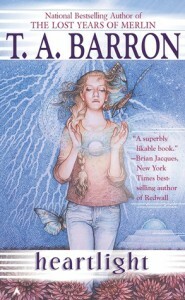 Speaking Rain almost drowns, but is saved by Kaya and the book almost immediately ends. I just wanted to see Speaking Rain again (even briefly) to be assured she's okay. There's no closure; it doesn't feel like an ending. I also had a problem with Kaya's punishment. I understand the logic behind switching all of the children; I'm not complaining about that. I don't like the nickname that the whipping woman gives to Kaya. She was practically telling the children to bully Kaya. I do like the way that Kaya is taught to handle the nickname (i.e. to rise above it and become a person who no longer deserves the comparison), but it didn't sit right with me that the adults were totally fine with the cruel things the children were saying to Kaya. Kaya gets one good lesson out of it, but all of the children, including Kaya, are learning that it's okay to be so mean-spirited to each other. I agree with the review on the cover (though I hate it when books have reviews on the front cover) that this story is reminiscent of C.S. Lewis' Space Trilogy. 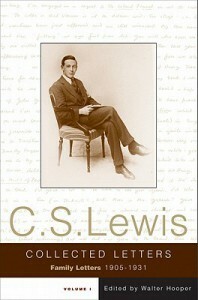 However, that trilogy might be my least favorite of Lewis' and I like this book even less. It was boring and Kate was annoying. Don't be rude to people who risk their lives to help you! Barron created some alien species, but there was some confusion as to how much they knew of our planet. If I recall correctly, Ariella has not heard of Earth, but she says at one point "On your planet, you might call it...", which wouldn't make sense if she doesn't know anything about Earth. There was also an explanation of rings as being bracelets for fingers, but how could Kate expect her alien friend to know what a bracelet is if she doesn't know what a ring is? The characters can also, at times, read each other's minds and I wasn't sure when exactly that was possible and for whom, so that got confusing. One of my pet peeves in media lately is when death doesn't mean anything within a story because the supposed dead character comes back. That occurs more than 3 times in this book, so I also don't believe for a second that the grandfather is really dead in the end. Then again, all of the other "deaths" were also poorly written, in my opinion. Like, the characters were out of sight for two seconds and immediately presumed dead. Whereas, the grandfather was actually seen dead. So maybe that's legit. But I still don't trust it. And I won't continue the series to find out what happened. Anyway, I want to clarify that I don't always hate it when there are false deaths, but when it's overused, it's really annoying. I'm lookin' at you, Marvel. I'll end on a positive note by saying that I really like some of the names in this book, like Ariella and Trethoniel. So, I had several complaints about this book, but overall, I thought it was a good ending to the trilogy. I got really confused when they started using the word "suul". At first, I thought it was a typo, but they kept using it. I don't think it was ever explained, but I think it's supposed to be the second soul of the Peculiars. But to use a made-up word without warning and explanation was annoying. 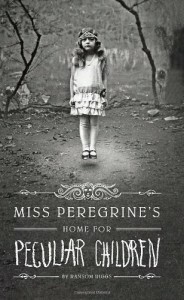 I'm also confused about the names of Miss Peregrine and her siblings as they seem to have different surnames. Did I miss something here? They were often referred to as Alma, Bentham and Caul, though, and I wondered if the alphabetization was on purpose. Were they born in that order? It seemed like Caul was the middle child. I was disappointed by the lack of secondary characters. I care about them more than Jacob and Emma. I realized it was kind of boring with just the two of them around. And really, why must each chapter be 50 pages long? But the book gets bonus points for referring to Frankenstein's monster and not saying "Frankenstein" while meaning the unnamed monster. I thought it was interesting that we had three male characters with names that are typically considered female these days: Addison, Sharon, and Kim. Most importantly, I enjoyed the ending. The chapter involving Jacob's parents and new therapist successfully pissed me off (in a good way). I like to imagine that the Peculiars stole back the letters. Or that the parents got them back from the therapist. Sometimes I'm afraid that if I learn too much about C.S. Lewis, I won't like him so much anymore. That fear has yet to be realized. So far, the more I learn about him, the more I love him. He wasn't perfect, of course, and I wouldn't recommend these books to anyone who's not already a big fan, but I loved learning more of his personality through his own writing and seeing how he developed over the years. It's definitely important to keep in mind that he wasn't the famous author so many people admire when these letters were written. He wasn't even a Christian until the very end of this book. My one complaint is this: Editor Walter Hooper says in the preface that he left out several letters (technically he says "a few", but he estimated it to be 5% and I'm pretty sure 5% of 977 pages of letters is more than "a few"), which bothers me. I want to read those letters too!! So, we've followed Mare for two books and now this one divides the pov between Mare, Cameron, and Evangeline. I'm not a fan of this. We just met Cameron, I would think Cal would have been a more natural choice. Or even Kilorn, though I don't really like him. And I could have done without Evangeline's perspective completely. Speaking of Evangeline, suddenly she's lesbian. And Maven is bisexual. Odd how those both came up in the third book, though we've known these characters since the first book. It's as if the editor was pushing Aveyard to include LGBT+ characters. Otherwise, I would say that I think the character development in this series has been good. I enjoyed the dynamic between Mare and Maven as he keeps her captive and attempts to manipulate things so that they can be together, and she struggles against Stockholm syndrome. I want to snap that my priority is to get the heat working in my barracks, not find out how many times Mare used the bathroom today, but her sweet face stops the impulse. Farley must have sent the cutest bleeding kid in the base. Damn her. Sometimes, the kid's so cute you can't be mad. I feel like there are a couple of times when Aveyard's description of Mare's electricity is inaccurate. Like when the guards were being electrocuted, Mare was careful to not step in the puddle of water, but then she touched a guard to take his key and she should have been shocked then. Though, she was impervious to the current when her ability was first revealed... But she was shocked by her own electricity because of the machine... I don't know. Is she immune to the electricity or isn't she? And if she is, why was she so careful to stay away from the puddle? This is one of three books I've read recently that does not use quotation marks. WHY?? It's so confusing! Especially when the author also breaks the rule of starting a new paragraph when a new person talks and has two people talking, without quotation marks, in the same paragraph! Argh! Stop doing this!! Anyway, this is an interesting story about a normal American family whose members just so happen to have supernatural abilities. I love how differently each person handled it. I loved how differently the normal people reacted to it. I think it's a pretty realistic, down-to-earth portrayal of what life would be like with relatively mild superpowers. On the other hand, I can't figure out how I feel about Joseph's ability... Like, I get the symbolism. But it's just so weird! I was also really confused by the last chapter. I think it's a flash-back. But it wasn't clear to me while reading it at what point in the timeline it took place. That's why I can't confidently choose a rating for this book. This isn't super important to the plot, but every time the family goes to a restaurant to eat, her dad immediately cuts his portions in half and puts half in a to-go box to give to the first homeless person he sees when they leave, which I thought was a really cool idea. WARNING: There are very few names in this book. There are about five each of Elizabeths, Richards, Georges, Henrys, and Margarets. That's probably a slight exaggeration with some of those. But I promise there are at least six Richards. Two of the Richards are brothers, even. That's right. Elizabeth (the protagonist, not to be confused with her daughter Elizabeth or any of the other Elizabeths) names TWO of her sons Richard. That's not the author's fault, of course. She actually does a pretty good job of keeping the characters straight. But it's still confusing at times. 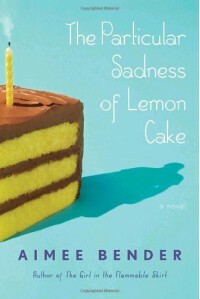 Overall, I very much enjoyed this book. I loved how Elizabeth (protagonist) fought for herself and her family in a world that didn't allow women much power. It was also fascinating to me to learn more about the Princes in the Tower and to read Gregory's theory on the subject. I also thought it was realistically complex when Elizabeth first proclaims that she just wants her sons to be happy and healthy, regardless of whether or not they are princes, but then she puts them in danger because she's determined that they have their birthrights. Her daughter (also Elizabeth) sees through it and accuses her of being ambitious to a fault, but she doesn't see it in herself. Evidence of this is her statement that "The worst has already happened" when her son Edward was being held captive by his uncle. There was so much uncertainty at that point. Edward could be killed, her other sons -- who were also out of her protection -- could be killed, she and her daughters could be forced out of sanctuary and hurt or killed... But sure. The worst has already happened because your son's crown has been taken from him. Generally, I think I liked this one just slightly less than the first. The only things I have to mention are a couple of complaints. 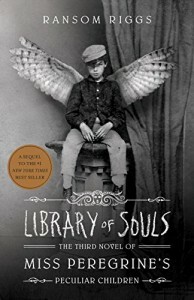 First, they were told Miss Peregrine had 2 days before she was stuck as a bird, so why did Jacob keep saying she had 3? Second, They were so dumb sometimes in this one. It was so obvious that the loop they were looking for was in the crypt. I figured that out right away, but they "couldn't make heads or tails of it!" Then they thought Miss Peregrine's evil brother (who had already deceived them in a huge way once) was worth trusting, apparently, and believed him when he quickly surrendered to them. Come on, guys. That was too easy. 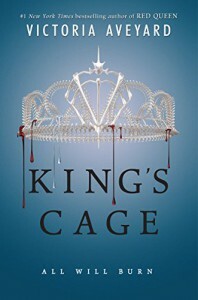 I found this one really boring compared to Red Queen. I think the plot just moved along too slowly. I also got confused a time or two when I misread a sentence because it wasn't immediately clear that Aveyard was referring to a character's ability. For example a sentence like "She saw two eyes" not referring to the body part, but to people who have the ability to see into the future. I think Aveyard should have capitalized those words (Eyes, Silks, Strongarms, etc.) to make it more clear and reading more smooth. Also, in my review for The Hunger Games , I mentioned the belief Aveyard and Collins share that one cannot scream without a tongue. Sara (who was supposedly "unable to scream in fear") still has perfectly good vocal chords. She can still make noise through her mouth. She can't shape that noise into understandable words because of her lack of tongue, but she most certainly would be able to scream. The tongue has nothing to do with screaming. I love every part of this book. There's never a dull moment. I love the characters (yes, I cry when Rue dies, the strategy aspect of the book (the outfits Cinna and Portia design, the way Haymitch and Katniss communicate during the Games, how Katniss performs for the cameras in order to encourage sponsors, etc. 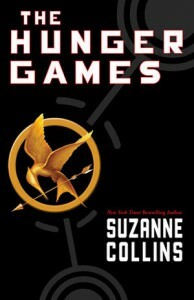 ), and the resulting confusion and distrust that Katniss feels as to what is real and what is just part of the Games. I also love how you can compare the society in the novel to ours today. It's definitely something to think about and discuss. I remember the first time I read it, I thought Collins did a good job of answering my questions about that world just as I had them, without it seeming like an information dump. Also, when I saw the movie for the first time, I was already expecting to cry during the previously mentioned moment, but I cried unexpectedly when Katniss volunteered for her sister. I think when I was first experiencing the story, knowing that Katniss is the protagonist, so obviously she has a fighting chance, It didn't really hit me that from her perspective, she was going to die for Prim. In that moment, she had no expectation that she might actually win the Games. I probably would have had that realization in my second reading of the book as well, but it just hit me for the first time when I saw the movie. And now, I fight tears reading both of those moments. It's a powerful book. Definitely worth reading more than once. 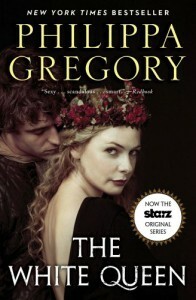 2012 Audiobook Review: i liked the normal voice of the lady who read it, but her character voices annoyed me most of the time. her haymitch voice was the best. 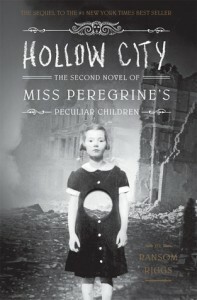 ...Miss Peregrine's children were more than just peculiar. They may have been dangerous. They may have been quarantined on a deserted island for good reason. it sets the book up for being very different than it actually is. I think the story is really creative, and I enjoyed the mystery and the time travelling. I also just love the story behind the book. I love how this story was written with genuine antique photographs as a basis. That's awesome. 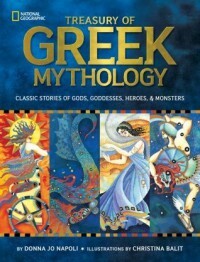 This is a nice collection of Greek myths and the illustrations are beautiful. I'd love to have a copy of this in my classroom someday.